Would you like to be part of an international team with good career opportunities and attractive salary packages? You will be responsible for the day to day management of online content, ensuring a quality experience is provided to millions of internet users. 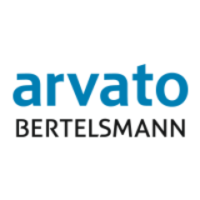 We are Arvato! We design, deliver and differentiate customer service on behalf of some of the world’s most respected brands. . Drawing on profound experience and know-how we deliver numerous services that you use every day: for example, every time customers book a flight, extend a phone contract, or ask a question about a purchase in an online shop, there is a good chance that we provide this service behind the scenes. On the phone, by e-mail, live chat or via social media, we make sure that consumers and business clients are satisfied on five continents in more than 35 languages. But most important for our success are our 45,000 employees at more than 100 locations, who add value for us and our clients as creative problem solvers. As part of the international Bertelsmann media group, we always pursue a long-term perspective.